Most of Hitchcock's thrillers deal with the same concept of a person who is at the wrong place at the wrong time. It's often a mistaken identity case. An innocent soul has to endure a series of horrifying events leading up to one giant conclusion. NORTH BY NORTHWEST is no different. Cary Grant stars as Roger Thornhill, a man who is mistaken for a Mr. George Kaplan and kidnapped by Valerian and Licht. He is taken to the house of Lester Townsend on Long Island. There he is interrogated by a man he assumes to be Townsend, but who is really Phillip Vandamm. Thornhill repeatedly denies he is Kaplan, but Vandamm does not believe him. He orders his right-hand man Leonard (played marvelously by Martin Landau) to get rid of him. It's a cat and mouse chase across the country with Mr. Thornhill running to save his own life. 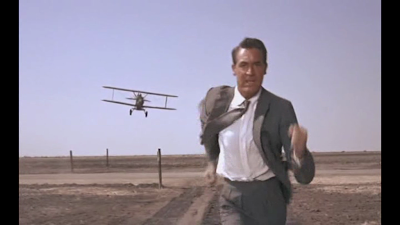 Filled with murders and unbelievable chase scenes (one in particular being the most iconic involving a crop dusting plane), NORTH BY NORTHWEST is the perfect film for thrill seekers and worldly travelers. It's a nice change of pace from Hitchcock's previous film VERTIGO. 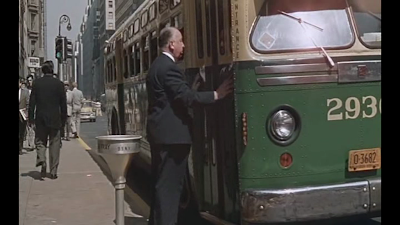 The plot of this film involves what Alfred Hitchcock calls a "MacGuffin", a physical object that everyone in the film is chasing but which has no deep relationship to the plot. This plot device seems to work almost every time. 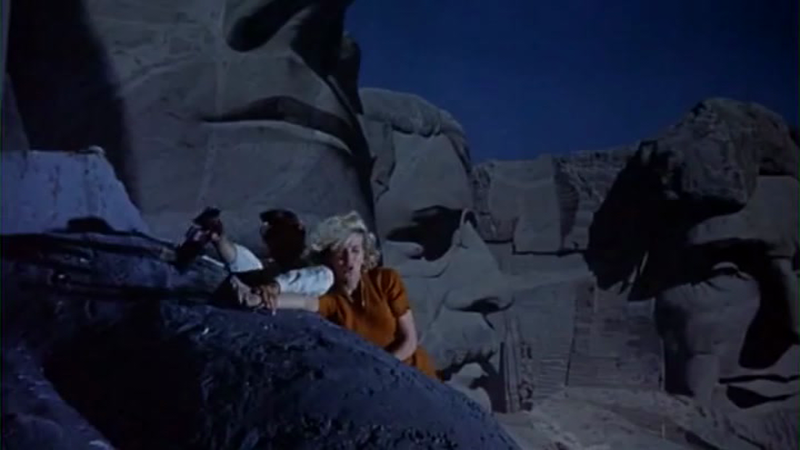 Much like Hitchcock's other film SABATEUR, the ending takes place on a historical landmark. This one being on top of Mount Rushmore. This is easily one of Hitchcock's most intense and thrilling films. It's got so many twists and turns that it makes it hard for any human being to trust anyone. Anything can happen, and it's presented well. Grant makes this picture his own. Cary Grant worked with Hitchcock on three other different films: Suspicion, Notorious and To Catch a Thief. All of which are amazing films in their own right. Grant personified the prototype of the ideal man created by Hitchcock and the type of man he would have liked to be. 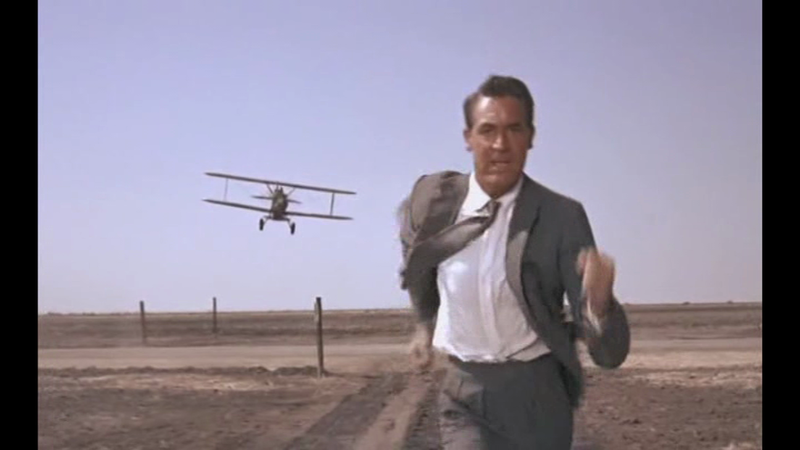 Every man at one point wanted to be Cary Grant. Even he himself wanted to be Cary Grant. Hitchcock also stated that Grant was "the only actor he ever loved in his whole life". Who could blame him? After seeing this movie you can't help but love Cary Grant. I'm sure for alot of people, this movie would be number one on their list. Sadly we're not finished yet. We still have three more films to cover plus some added honorable mentions. There are just way too many Hitchcocks films that have yet to be covered. 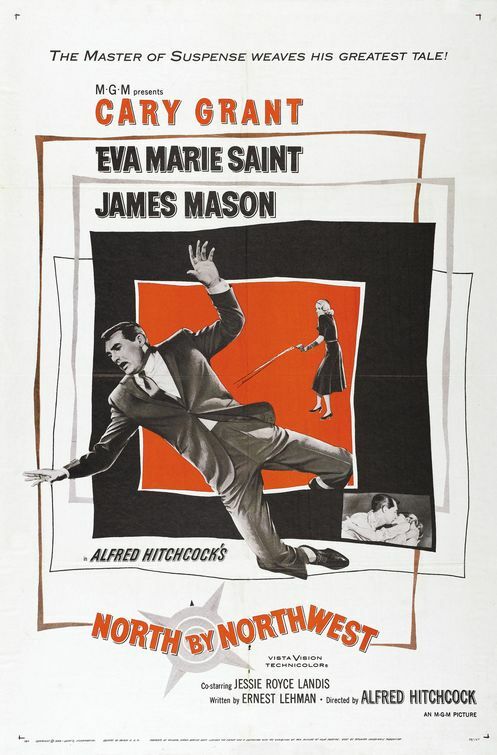 If you don't have NORTH BY NORTHWEST in your collection already, I highly recommend the blu-ray. It has that nice high def polish that's just going to make you love the film even more. CAMEO NOTE: At the very end of the opening credits, you can see Hitchcock missing his bus right after they show his name on screen.